Diesel fuels are commonly used fuels for power generation in various fields, automobiles transportation, etc. Diesel is being used in numerous fields from long time. These uses at a huge number are polluting the environment from the emissions of diesel fuels, also depleting the layer of this fuel sources day by day (Rinaldini et al. 2016). Therefore substitute of fuel for originating power is getting more and more interests from the last few years for reducing the fossil fuel usages as well as pollution occurring from the fossil fuels. In the last few years, as alternate for diesel, bio diesels gained much more attraction (Murugesan et al. 2009; Shahid and Jamal 2008; Ramadhas et al. 2004). Biodiesels are gaining immense response as an environmental friendly source of engine fuel and as an alternative to fossil fuels. Sometimes higher viscosity of biodiesel can cause lower atomization, inadequate combustion, and choking of the injector. So, before using biodiesel as an alternate of diesel, the various properties has to be tested and also has to be improved. Biodiesel can be mixed with diesel up to 20% which was denoted in many papers (Yilmaz and Morton 2011; Ramadhas et al. 2005). Thumba is used as alternative sources of fuel in recent times. E. Sivakumar, et al. worked on thumba biodiesel–diesel blends. Results showed lower brake thermal efficiency of diesel compared to thumba biodiesel–diesel blends (Sivakumar et al. 2015). Kumbhar et al. investigated on thumba biodiesel blends with diesel. Thumba B100 showed better emission performance of CO2. NOx was less for diesel. Thumba B20 showed better emission than other blends of thumba biodiesel (Kumbhar and Dange 2014). Nadir Yilmaz et al. 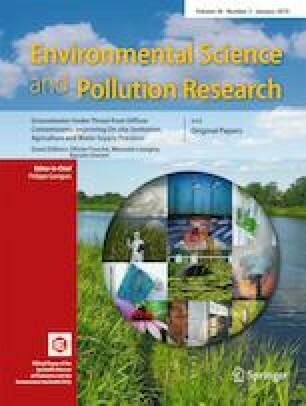 have seen that biodiesel–butanol blends showed higher BSFC, CO emissions, and HC emissions while exhaust gas temperature and NOx emissions was lower compared to biodiesel (Yilmaz et al. 2014). Rakopoulos et al. found that the smoke emissions, NOx, CO emissions were reduced, total hydrocarbon increased with butanol/diesel fuel blends. With increasing percentage of butanol higher specific fuel consumption and increase of brake thermal efficiency was noted (Rakopoulos et al. 2010). From the literature survey, it was found that thumba provides a wide scope as an alternate source of diesel and since not much work was done on the biodiesel and butanol as an additive together. Moreover, thumba tree is easily available in many parts of India. In India, thumba is available in the western part of Rajsthan and Gujrat. Thumba can be implemented as a biodiesel due to their similar diesel properties, small crop cycles, high percentage of oil recovery, and quality of oil. Cultivation of thumba biodiesel can also increase the economy of Rajasthan, Gujrat in the near future. Thumba seed oil is also available at a higher quantity in those reasons, and it is consumed in local soap industries. It is found that thumba plant cultivation is going on the wastelands of Rajasthan and Gujrat on 5.33 Mha so that thumba biodiesel can be used as a 5% of diesel substitute. Also, cultivation of thumba oil on 10.145 Mha wastelands in those areas can provide India 9.5% biodiesel substitutes in near future. These all informations about thumba bio diesel and the availability and future scopes of thumba bio diesel motivated the author to work on thumba bio diesel and the performance and emission was tested in the work at 3 ratios for the alternative source to see the usability of the blends and genetic algorithm based multi objective optimization was used for finding the best blend among all the blends used in the work. In this work, to investigate the performance and emission, thumba biodiesel was used in proportion of 10%, 15%, and 20% with 80% diesel. Ten percent and 15% thumba biodiesel was mixed with 10 and 5% butanol respectively along with 80% diesel after transesterification process for the experimental work. Multi-regression analysis was used to generate the regression equation for the alteration. Through multi-regression, each output variable which was generated in the form of the both input variables by MINITAB was applied for the best fit for GA. In this work, the independent variables were blend, load and BSFC, BThE, CO, NOx were the dependent variables. Regression analysis is applied when a continuous dependent variable is to be anticipated from various independent variables. Continuous or categorical or both independent variable can be applied in regression. Independent variable of two or more levels can also be utilized in regression analysis (Habib 2009). Regression analysis illustrates the relation between the predictor and response variable through an equation. where the coefficients are denoted by a0, a1, a2, and a3 and the experimental error is measured by residual Ɛ (Majumder 2013). The fitness of the model was generated by Minitab, which also tests the fit by analyzing the residual plots and the result was illustrated (Zarepour et al. 2007). The p value checks the null hypothesis for individual terms and the coefficient has to be equivalent to zero. Also, lower p value (< 0.05) is very much significant which indicates the null hypothesis can be rejected. If the predictor has lower p value, then it is most likely going to be an essential development to the model, since the predictor value and the response variable are correlated. Fuzzy was utilized for the transitional result which has to be defined from given constraints. Four input variables were taken for the work, i.e., BSFC, BThE, CO, and NOx. Every variable had triangular membership function where bad (B), average (A), and good (G); these three level of sets were used respectively ranging from 0 to 1. MPCI was divided into nine levels namely extremely bad (EB), very very bad (VVB), very bad (VB), bad (B), NGNB (not good nor bad), good (G), very good (VG), very very good (VVG), and extremely good (EG). Triangular membership function was applied for the MPCI using input and output variables (Guven 2009). Eighty-one rules were applied to express the relation of the input and output variables. 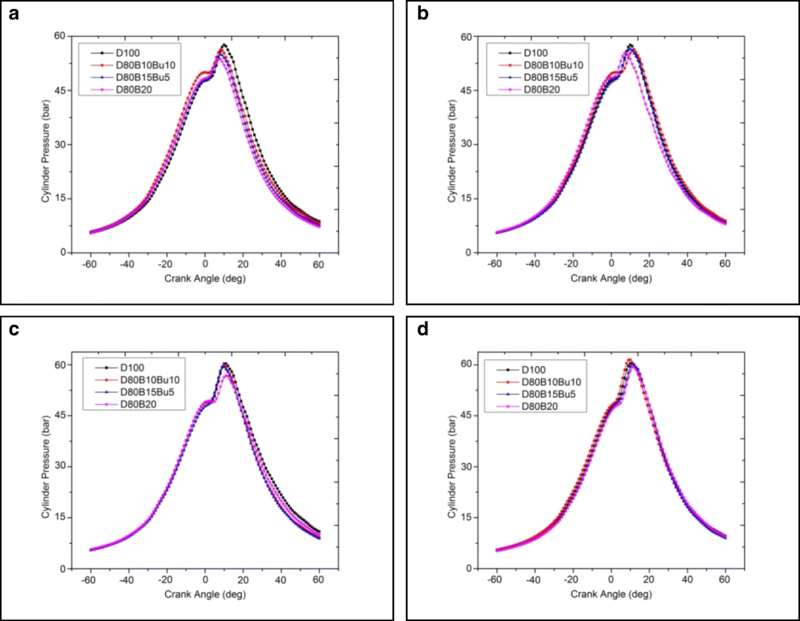 In this work, a single objective was desired; hence, concept of the desirability function, fuzzy sets, and fuzzy logic was combined to transform multiple responses into a single MPCI. GA was used for the optimized result of the different dependent and independent parameters. In the present study, thumba biodiesel, butanol, and diesel blends were tested in a single cylinder four-stroke IDI CI engine at varying loads. Thumba biodiesel was produced from transesterification process of thumba seed oil. In transesterification, in the presence of adequate catalyst, alcohol reacts with vegetable oil. Usually ethyl or methyl alcohol is used for the production of ethyl/methyl esters. In this work, methanol was used as alcohol and KOH as the catalyst. The molar ratio for alcohol to oil was taken as 6:1, and the catalyst was taken as 0.75% by the weight of oil for the process. The temperature during the reaction was kept between 55 and 60 °C, and the reaction time for the process was 90 min approximately. After the reaction, methyl ester and glycerin are formed which appears separately in two distinct layers of liquids. The vegetable oil reacts with alcohol which is mixed in the catalyst. After that, crude biodiesel and crude glycerin is formed from the liquid. The glycerin obtained from the vegetable oil is refined and used afterwards. The alcohol and crude biodiesel is then separated; the biodiesel is also refined, and the alcohol is used for further processes. Three molecules of monoglyceride and one molecule of glycerol is obtained from one molecule of vegetable oil/tri glyceride and three molecules of alcohol. The reaction is shown in Eq. 4 (Sayin 2010; Rakopoulos et al. 2011). Equation 2 shows the transesterification of vegetable oils (Lee et al. 2010; Bari et al. 2002). After the reaction is completed, biodiesel and glycerol are gravitationally or centrifugally separated. In the present work, diesel and thumba biodiesel with butanol additive used for the experiment were D100, diesel 100%; blend 1, diesel 80% thumba biodiesel 10% butanol 10%; blend 2, diesel 80% thumba biodiesel 15% butanol5%; and blend 3, diesel 80% thumba biodiesel 20%. The fuel property of diesel, thumba, and butanol is given below in the Table 1. An indirect injection (IDI) and air-cooled diesel engine was used for the experiment. The engine was of single cylinder, four strokes, diesel engine. 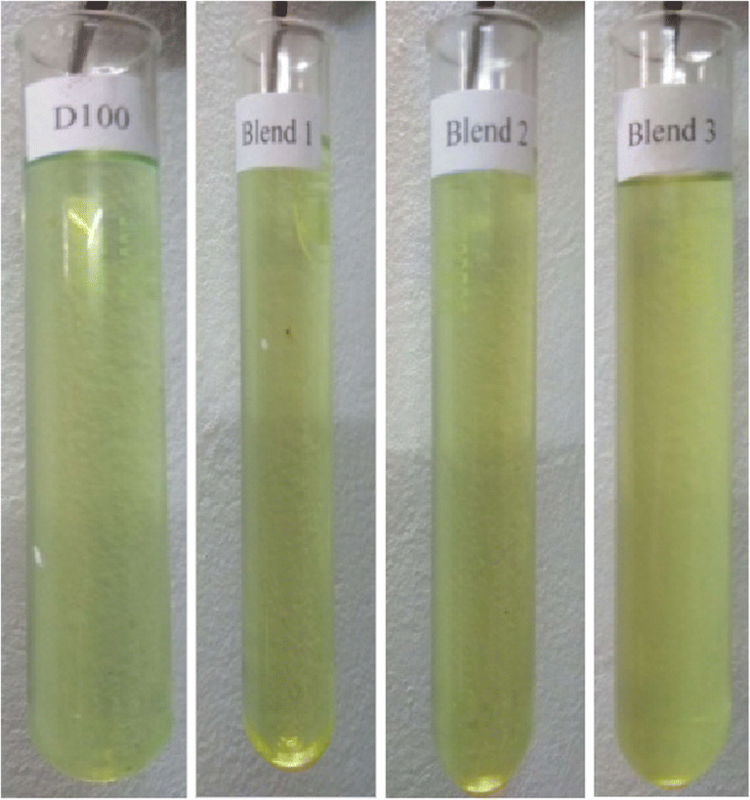 Diesel and biodiesel blends were investigated during the experiment to analyze the performance (BSFC and BThE) and emission (UHC, CO, and NOx) characteristics. 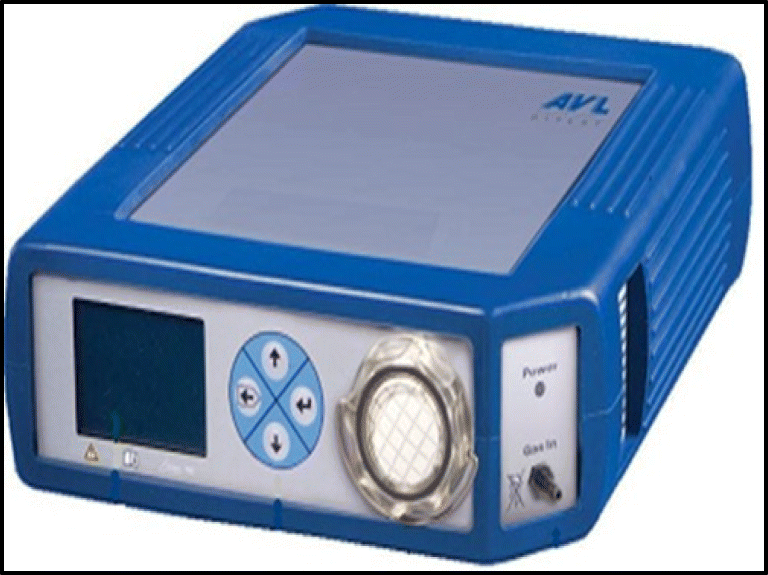 BSFC and BThE were measured with data acquisition system for measuring performance and emissions like UHC, CO, and NOx were measured by AVL DIGAS analyzer. The schematic layout of the engine setup is given below in Figs. 2 and 3, and represents the experimental setup of the engine. Table 2 shows the engine specification. The full experiment was carried with varying loads from 1.5 kg (25% load) to 6 kg (100% load) at constant 1500 rpm. The performance was calculated and measured from the data acquisition system and the emission was calculated from AVL DIGAS analyzer (shown in Fig. 4). The emission was measured as n-hexane equivalent, ppm for carbon monoxide (CO), oxides of nitrogen (NOx) as well as for unburnt hydrocarbon (UHC). During experimentation, burette and a stop watch was used for fuel consumption measurement. 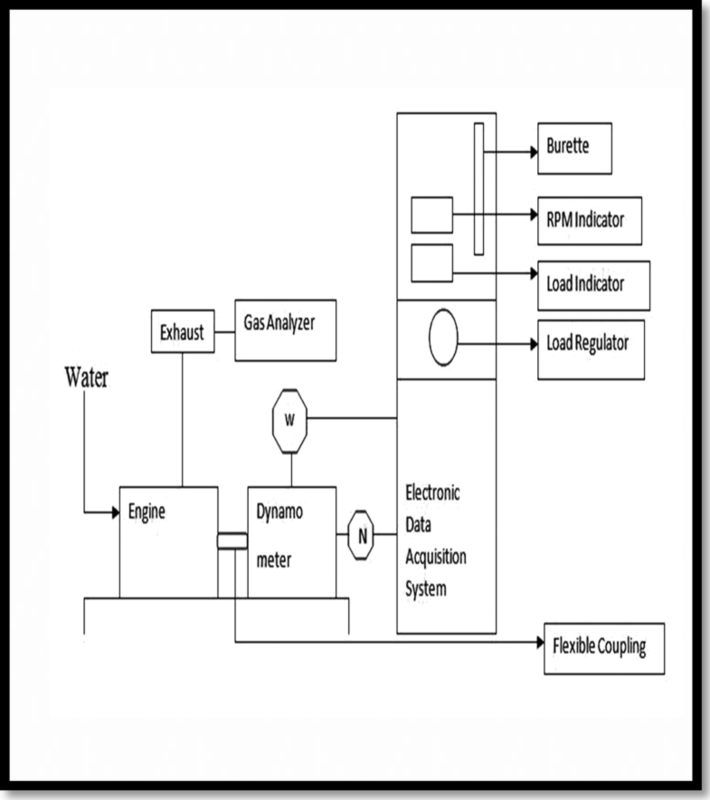 The engine exhaust was analyzed and calculated by AVL DIGAS 444 gas analyzer. The engine run for 10 to 15 min before taking a single set of reading for both performance and emission and the full fueling unit was cleaned before a new blend was applied in the engine for reducing the chances of contamination of blended fuels. In this work, a total three sets of data were taken for each result and the final result of the data set was the average of three sets of data, which were close to each other and taken as the final set of data. The accuracy measurements and uncertainty of the calculated results are shown in the Table 3. Figure 5a, b, c, d represents the variation of average cylinder pressure with crank angle at varying loads. One can observe that the trend of increasing pressure was observed, while increasing load due to high amount of fuel was injected for burning inside the cylinder while increasing load. At 25% load, the peak cylinder pressure was 57.2 bar for diesel which was higher among all the blends. This reason may be suited for higher calorific value of diesel which was higher than the other blends (Sharon et al. 2013; Senthur Prabu et al. 2017). Among the biodiesel blends, increase in butanol percentage also increased the pressure rise due to higher oxygen content in the butanol blends. At 50 and 75% load, also the similar trend was found where diesel showed higher cylinder pressure by 58.6 and 60.28 bar respectively compared to all the blends. At 100% load, the cylinder pressure of D80B10Bu10 (63.3 bar) was 2.5%, 5.16%, and 6.63% higher than D100, D80B15Bu5, and D80B20 respectively. 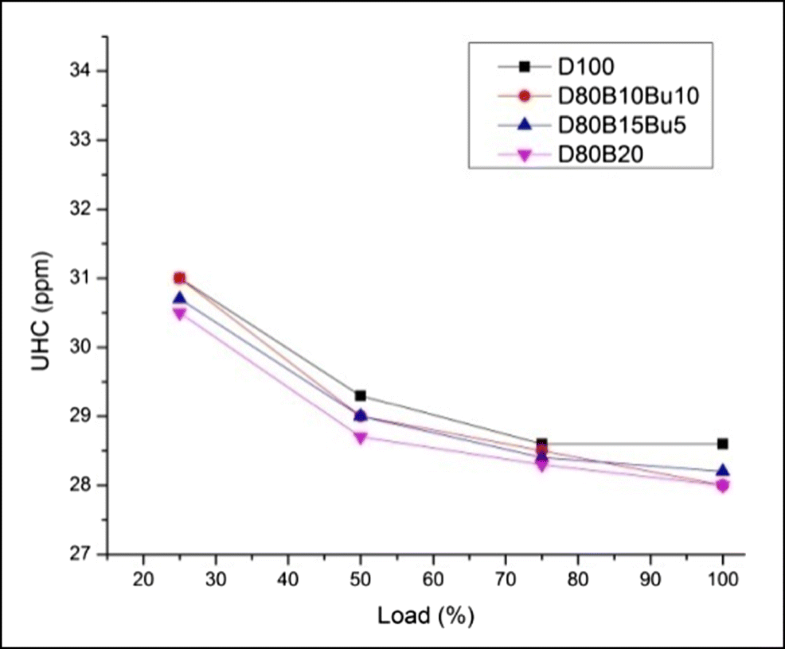 The blend D80B10Bu10 contains highest oxygen content among all the blends as well as advance in start of injection, which provided better fuel mixing and helped for better combustion and increase in cylinder pressure (Ozsezen et al. 2009). For D80B20, the higher viscosity and lower volatility (Gumus 2010; Algayyim et al. 2017; Mustafa et al. 2009) may have reduced the cylinder pressure compared to all the blends and diesel (Gumus 2010). Figure 6 describes the heat release rate with various crank angle at varying loads. From the figure, it was found that the heat release rate was lower for the blends at lower (25%) and medium load (50 and 75%). The reason may be effect of lower calorific value of the blends which may have leading towards the decrease in heat release rate. But at 100% load, the heat release rate was higher for D80B10Bu10 compared to diesel and the other blends. 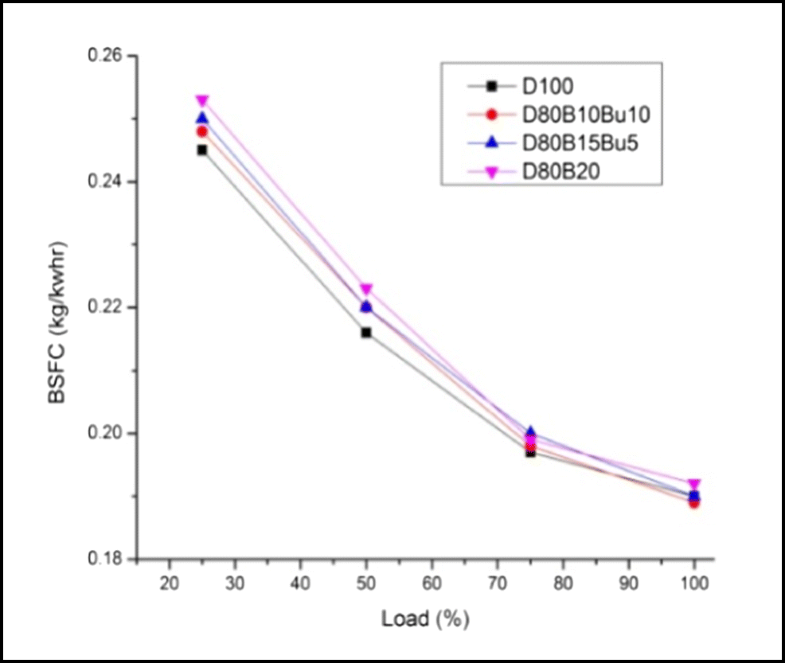 This may be due to the higher oxygen content of the D80B10Bu10 blend which provided better complete combustion at higher loads and resulted into higher heat release rate. 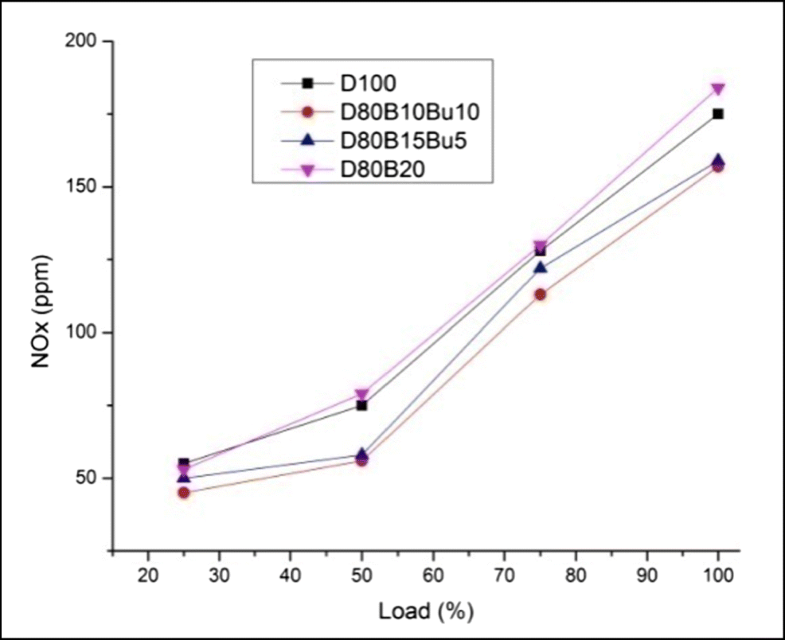 Heat release rate was 5%, 17%, and 20% lower for D80B10Bu10, D80B15Bu5, and D80B20 respectively at 25% load. At 50 and 75% load, also the heat release rate was 11%, 17%, and 25% lower for the bends respectively. At 100% load, the D80B10Bu10 had the highest heat release rate compared to the other blends and diesel which was 8.1% higher. But for the other blends, the heat release rate was 11.02 and 22.2% lower than diesel. Figure 7 illustrates the BSFC at different engine load for all the tested fuels. At low load condition (25%), BSFC increased for the blends compared to pure diesel. 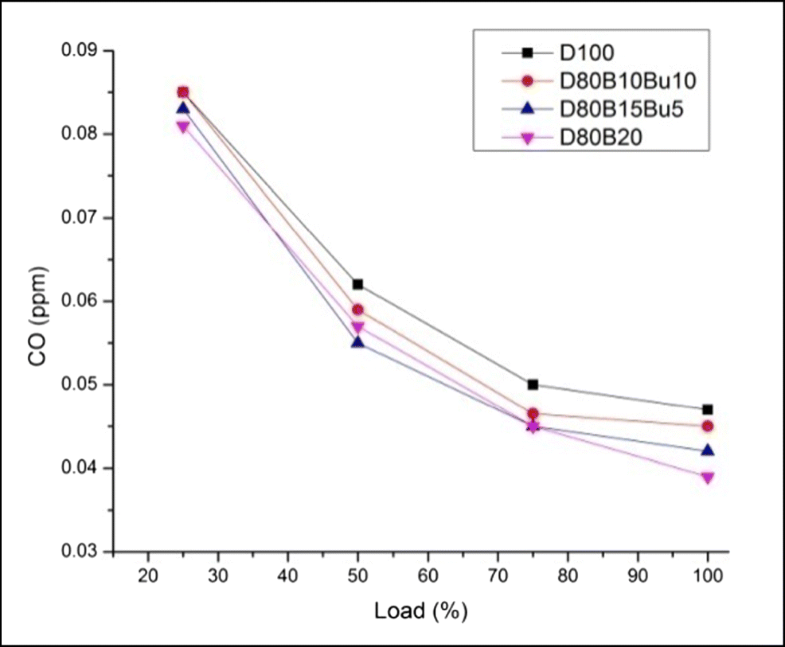 D80B10Bu10 blend showed a lowest BSFC of 1.22% among all the blends, whereas D80B15Bu5 blend showed an increase of 2.04% and D80B20 showed 3.26% compared to pure diesel at 25% load condition. At 50 and 75% loading, also the blends had higher BSFC compared to pure diesel. At 100% load condition, D80B10Bu10 showed lower BSFC compared to pure diesel by 0.52% and for D80B15Bu5 BSFC was almost equal, whereas D80B20 showed higher BSFC of 1.05% compared to pure diesel. From the Fig. 7, it is clear that, at higher load the addition of butanol in the blends showed lower or comparable BSFC as compared to pure diesel. The higher viscosity leads to poor atomization during mixing of fuel and requires more fuel energy for same engine output (Meher et al. 2010; Tate et al. 2006). The addition of butanol in the blends showed comparable viscosity for D80B15Bu5 and reduced the viscosity for D80B10Bu10 compared to diesel. 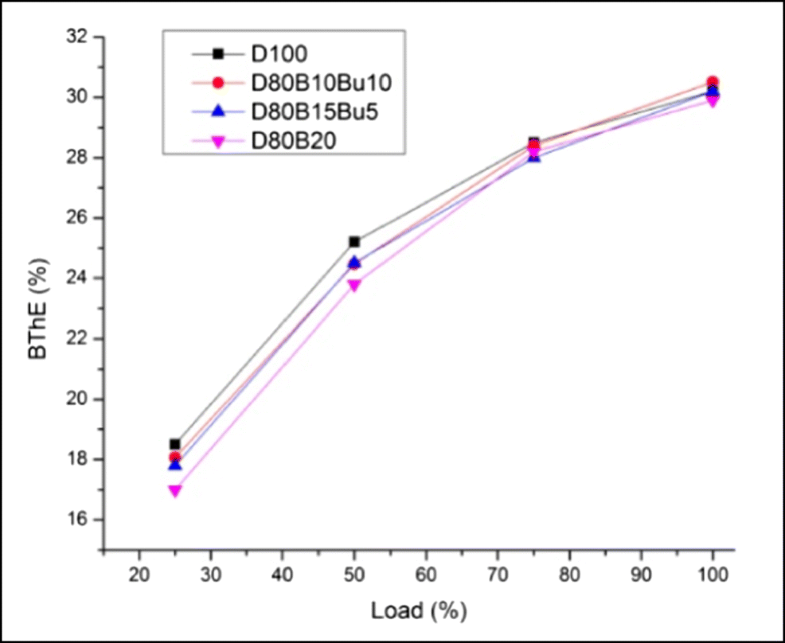 D80B10Bu10 and D80B15Bu5 have higher percentage of butanol which lowered the viscosity of the total blend as shown in Table 1, and hence the BSFC was lower for D80B10Bu10 and comparable for D80B15Bu5 compared to diesel. From Fig. 8, it is clear that at lower load conditions BThE was higher for pure diesel compared to bio diesel blends. At 25% load, BThE was 2.36% lower for D80B10Bu10, 3.78% lower for D80B15Bu5, and 8.10% lower for D80B20. Similarly at 50 and 75% loading, the scenario was same for the blends compared to pure diesel. It resulted from the higher viscosity of thumba blends which prompt to insufficient mixing of the air and fuel spray, which leads to lower percentage of BThE. At full load, BThE was slightly (1%) higher for D80B10Bu10 and for blend D80B15Bu5, BThE was comparable to pure diesel. This occurred due to the rapid combustion at premixed stage during ignition delay, oxygen enrichment, and enhancing energy release rate leading towards higher brake thermal efficiency. Another reason is that biodiesels are more oxygenated fuel than diesel. The oxygen content for butanol is higher than diesel and thumba biodiesel. The blend D80B10Bu10 showed the highest oxygen content in the mixture, also D80B15Bu5 have higher percentage of oxygen content as shown in Table 1. Therefore, more oxygen molecules take part in combustion which results better complete combustion than diesel resulting higher BThE at higher loads. But for D80B20 blend, the viscosity played the major role for lower BThE which was lower than diesel. 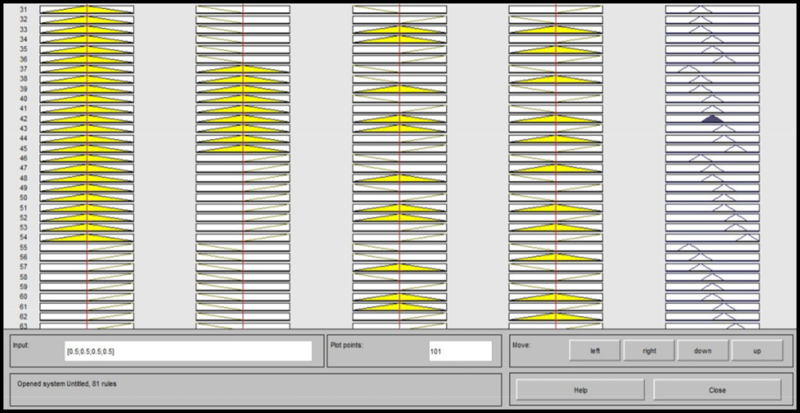 Figure 9 displays the variation of lamda with load. Lamda (λ) is defined as the actual air-fuel ratio to the ideal or stoichiometric air-fuel ratio. If λ value is less than 1 (rich mixture), that indicates the oxygen percentage is less in the mixture resulting less complete combustion. If the λ value is equal to 1 (ideal/stoichiometric), the mixture has exact amount of air required for the complete combustion. Similarly, λ value higher than 1 (lean mixture) has higher oxygen percentage in the mixture. Since biodiesel and butanol contains more oxygen than diesel fuel, therefore the λ value was higher for all the blends compared to diesel at all engine load conditions. Among the blends D80B10Bu10 showed higher λ values of 20.58%, 22.13%, 21.64%, and 21.348% at 25%, 50%, 75%, and 100% load respectively compared to diesel. From Fig. 10, it can be observed that UHC decreases as the load increases. As the load increased, complete combustion was higher therefore less amount of UHC was generated. Biodiesel produces lowest UHC emissions compared to pure diesel at full load. UHC was lower for the blends at 25 and 50% loading also. These reductions occurred due to higher rate of complete burning inside the cylinder and accomplished the combustion. Also, the blends showed lowest UHC emission due to its higher percentage of oxygen present on it leading to good emulsification after atomization of the mixtures in the cylinder; and hence, higher rate of heat release and complete combustion compared to diesel. Many papers also stated that the higher oxygen content of fuel bends reduced UHC emissions (Sudhir et al. 2007; Devan and Mahalakshmi 2009; Ashraful et al. 2014; Altun et al. 2011). UHC was 2.09% lower for D80B10Bu10 and D80B20 at full load and for D80B15Bu5 the UHC was 1.39% lower compared to pure diesel. Figure 11 illustrates the variation of CO emission at different load condition. At 25% load condition, D80B20 showed the lowest CO emission (4.7%). For D80B10Bu10, CO emission was higher among all the blends and D80B15Bu5 also produced less CO compared to pure diesel (2.35%). The CO emission also followed to be less for the blends at 50 and 75% loading. At full load condition, D80B20 showed the lowest CO emission (17.02%), whereas CO emission was 4.25 and 10.63% lower for D80B10Bu10 and D80B15Bu5 respectively compared to pure diesel. The overall CO emission reduction was affected by the oxygen enrichment in the blends which resulted higher heat release rate and higher rate of complete combustion. 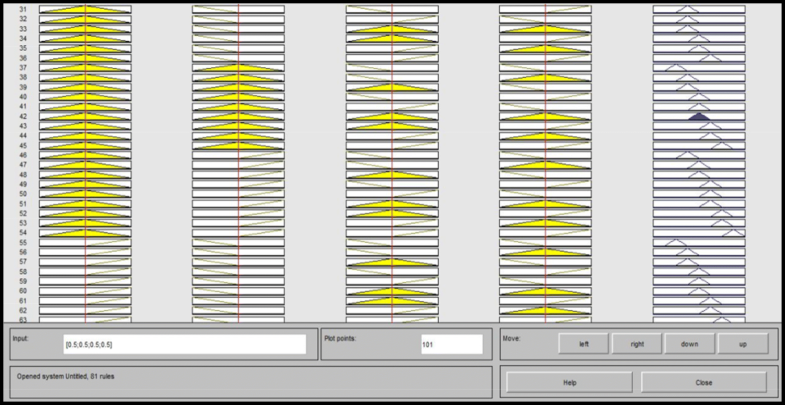 Figure 12 visualizes the change of NOx emission at various load conditions. From the figure, it can be found that at lower load NOx was lower for the blends and the butanol addition in the blend also helps to decrease NOx. At increasing loads, NOx also increased. This results from the more fuel participation at higher loads raising the temperature inside the cylinder, also forming larger flame zones. At low load condition, NOx was 17.8%lower for D80B10Bu10, 9% less for D80B15Bu5 and for D80B20 NOx was 3.63% lower compared to pure diesel. At full load, D80B10Bu10 and D80B15Bu5 showed 10.28 and 9.14% less NOx emission respectively compared to pure diesel. The higher cetane number significantly reduces NOx formation which occurs due to the shorter ignition delay times resulting lower combustion temperature. In this experimental work, D80B20 showed higher NOx than diesel; due to its lower cetane number, resulting higher cylinder temperature, it leads to higher NOx. But for the butanol blends (D80B10Bu10 and D80B15Bu5), the higher latent heat of vaporization have superior effect over lower cetane number of the blends leading towards lower in cylinder temperature during combustion which reduced NOx. Butanol addition to bio diesel blends reduces the emission of NOx (Yilmaz et al. 2014; Sharon et al. 2013). 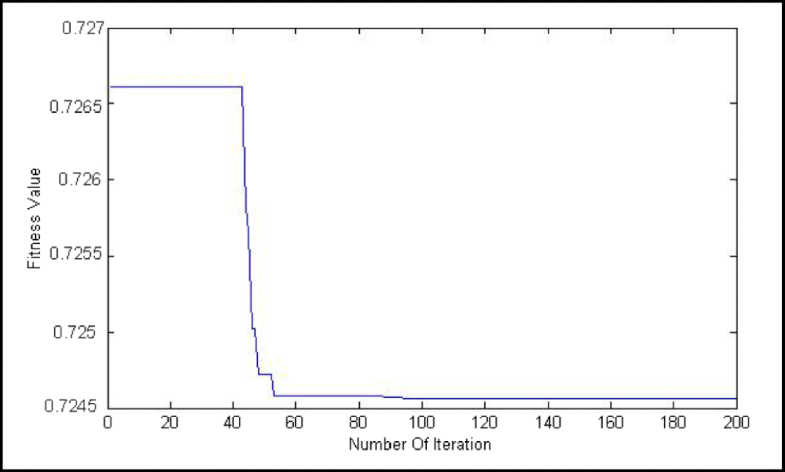 Four output variables were used for this optimization such as BThE, BSFC, CO, NOx. The data was used for generating the regression equations for each input independent variables in the form of output variables. Fuzzy was introduced for all the constraints to convert the variables in a single MPCI which had nine levels EB, VVB, VB, B, NGNB, G, VG, VVG, and EG. Every level was taken within the range of 0 to 1. The results from the regression equation and fuzzy set were taken for the genetic algorithm coding for the output converged graph. The result from GA was validated afterwards. 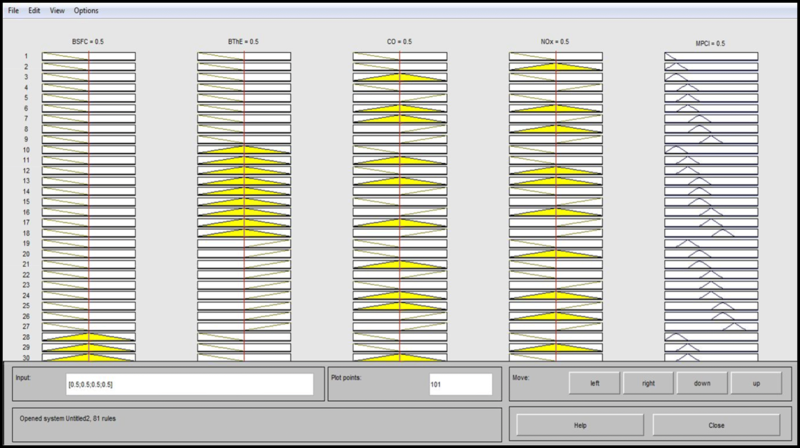 Design expert was used for the best fit equations to correlate the performance with the parameters by using standard statistical techniques of regression analysis. 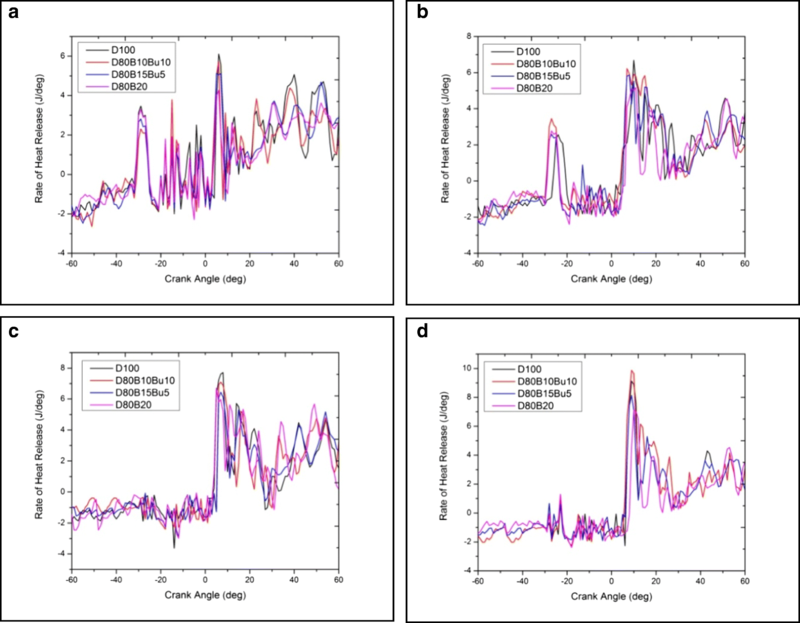 Least-square regression technique was used for analyzing the data. 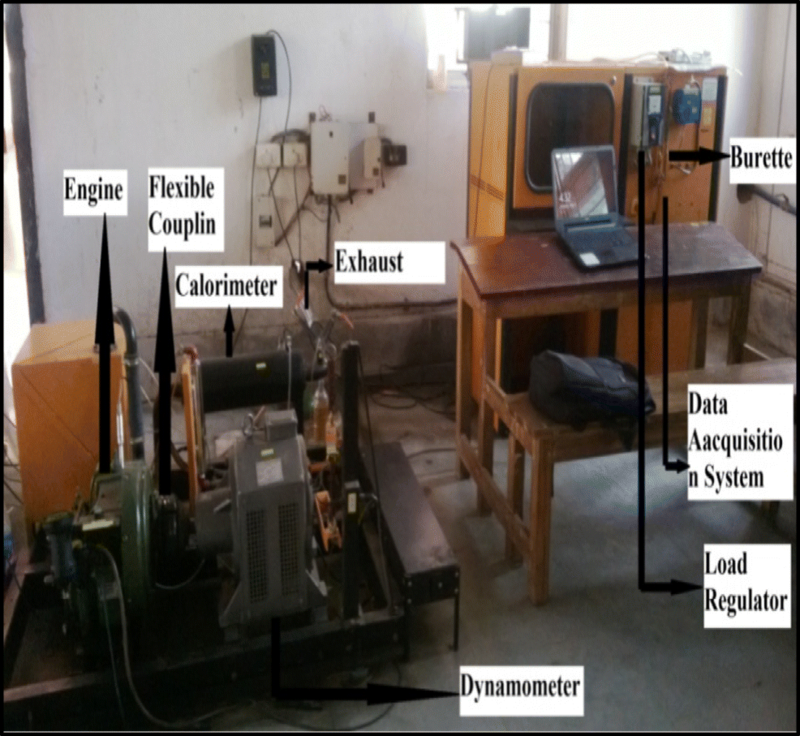 Equations between the engine performance and emission parameters incorporated with the input factors (load and blend) were generated, which were of polynomial type. The response of the altered function in the form of square root equations were used to resolve a nonlinear relation between the input and output variables. In regression results, each output variable is attached to its p value or significance level, which is a percentage and p value does not explain the relationship. p value describes the variables associated with the coefficient. If for a regression p value is 0.05, then the chance for the relationship developed randomly is 5% and the chance for the relationship to be real is 95%. If p value is less than 1, then it is considered as significant as well as accepted (Luis et al. 2005; El-Taweel 2009; Ramasamy et al. 2002). R2, is the coefficient of determination, also known as a multiple determination coefficient. In multi regression model it interprets how near is the data to the regression line. For higher value of R2 signifies the model is better for fitness of data. The equation which was generated to describe the relationship between the variables for the model was developed by using least square method in ANOVA and the accuracy was measured. The model is acceptable if the generated equations show p values less than 0.05; according to this method and p value, more than 0.1 indicates the equations generated cannot be taken for further procedure. In this work, the p values generated from the equations were lower than 0.05; hence, the models considered to be adequate. For these models, the calculated coefficients of determination (R2), R2 adjusted, R2 predicted values were also above 95% which indicates that the regression model was highly significant (Luis et al. 2005; El-Taweel 2009). The results from the regression analysis through ANOVA software are given below. Coefficient of determination (R2), R2, R2 predicted, and p value calculated for BSFC, BThE, CO, and NOx in the study are shown in Table 4. The objective of this present study was to maximize BThE and minimize BSFC, NOx, and CO which is generally very difficult to achieve (Zimmermann 2001). Hence, fuzzy set and desirability function were incorporated so that multiple responses can be converted into a single multi-performance characteristic index (MPCI). Figure 13 shows the schematic diagram of the fuzzy model containing four input parameters and one output parameter. Fuzzy model considers the input and output variables as linguistic variables. EB, VVB, VB, B, NGNB, G, VG, VVG, and EG were considered to be the linguistic values or memberships for the desirable values of BSFC, BThE, CO, and NOx. Triangular membership function was introduced for illustrating each subset. 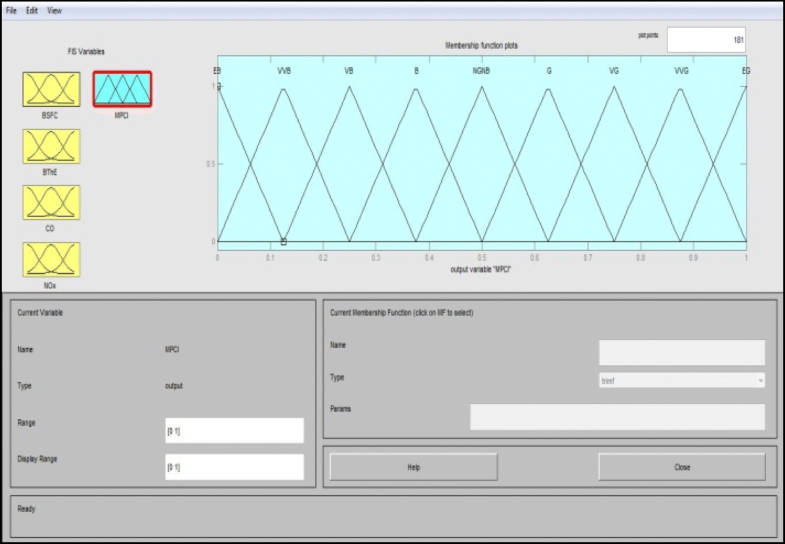 Meanwhile, nine values or memberships, namely EB, VVB, VB, B, NGNB, G, VG, VVG, and EG were used to characterize the MPCI. An output ranking process was obtained by using triangular membership functions which gives 81 fuzzy if and then rules (Zimmermann 2001) (Table 5). Eighty-one rules are plotted as shown in Table 5. MPCI using the fuzzy rules were applied to establish the correlation between input and output parameters after the fuzzy rating. Figures 14, 15, and 16 illustrate fuzzy rules used in experiment to convert the parameters into a single MPCI (From 1 to 81). Compared with the single-objective optimization, multi-objective optimization includes the synchronized numerous variables for optimization, which are frequently between two different states. With a specific range of the design constraints, multi-objective optimization implements an optimal but not the only solutions which meet all the boundaries. In this work, the objective was to maximize BThE and to minimize the BSFC, CO, and NOx; hence, the maximization of MPCI was attained by minimizing the fitness function F(y), i.e., F(y) = 1/ (1 + f(y)) so that the lower value can correlate to the higher value of the objective function. GA was used for generating the code also for the fitness function. Various steps involved in a GA are shown below by a flowchart in Fig. 17. There are many factors that affect the fitness function of the GA. Like population model, size, crossover operator, and mutation operator. In GA, the accuracy of the model is depended on size of the population, crossover operator, and mutation operator. The larger size of the population and the crossover rate enables the broad area of explore of the solution and reduces the chances of selection of the poor solution. The initial population is replenished with completely random solutions. Each individuals of the initial population represents the various process parameters. Parent selection is done mostly by fitness proportionate selection and every individual has chance to become a parent. In this process mating, propagating of their features to the next generation, each individual fitter gets higher chances. Hence, selection strategy is applied so that better individuals can be appointed over time to the more fit individuals in the population. Roulette wheel method was applied in this study for selection. The advantage of this method is that the probability for selecting each individual depends directly on its fitness and the chance of the better chromosomes for selection increases also probabilistically adds more instances of the strings to the mating pool. The individuals are stored in a mating pool, also the algorithm until it generates new population for the next generation. Biological crossover and reproduction is analogous to the crossover operator. In this process, one or more offspring is produced using the genetic material of one or two parents. Higher probability of crossover (Pc) is generally used in GA (Roy et al. 2013). A new solution was formed from the remaining solutions by crossover operator, which was available in the mating pool. 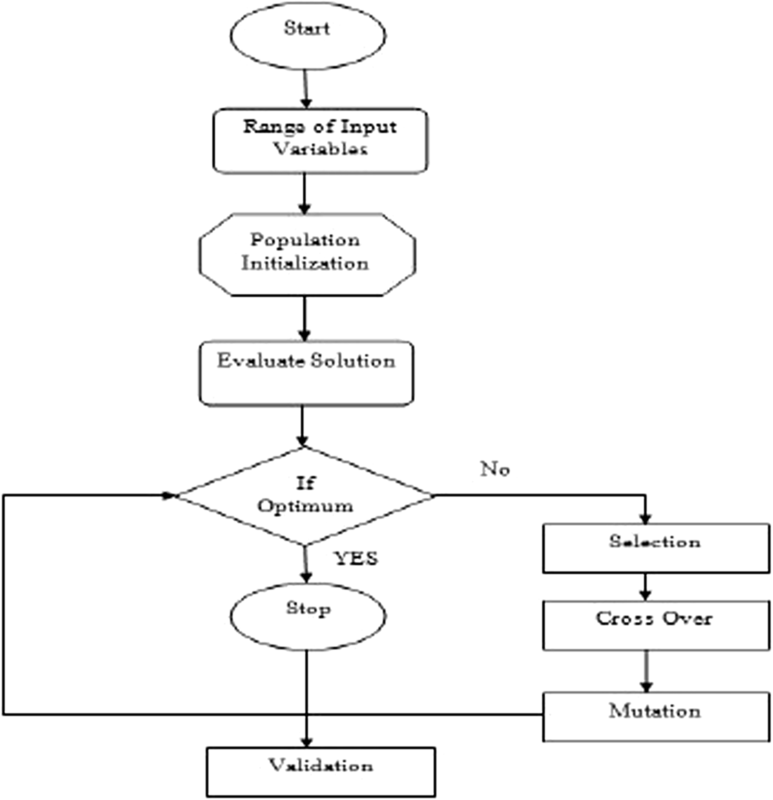 Exchange of gene information between the solutions and the operator takes place in the mating pool. Any of two strings solution is chosen from the mating pool by the most popular crossover. Meanwhile, in some part of the string, exchange takes place. All the strings are not chosen for crossover. Randomly, crossover probability is used to choose the strings. Determination of the solution for crossover is obtained by the introduction of crossover probability. In this work, the crossover probability was 0.8 which implies that the 80% of the chromosomes were taken for crossover, and the remaining were left for the next generation. Diversity is maintained in the population, by introducing mutation into the solution strings of the population pool. The optimal solution was selected by mutation and crossover which was used for finding the optimal solution. Mutation probability (Pm), mutation operator varies from 0 to 1.Thevalue of mutation probability is generally kept low for steady convergence. Best chromosomes are elected from the mix of parents and offsprings on fitness ranking basis. For the next iteration, the new chromosomes were reinserted. Iteration process continues until the iteration value of previous and next iteration were almost same. Convergence of the developed GA model is shown in Fig. 18. From the figure, it can be seen that the fitness value converges at 89th iteration after that the iteration result was constant. The optimum process parameter calculated from GA for this problem was BSFC 0.184, BThE 29.92, CO 0.042, and NOx 126.56 after validation. Putting the results of GA in the regression equation which was generated by ANOVA, the data was compared with the experimental data shown in the Table 6. From Table 6, it can be seen that after validation, the results from GA and the experimental results can be related to each other which reflects the accuracy and significance of the work. 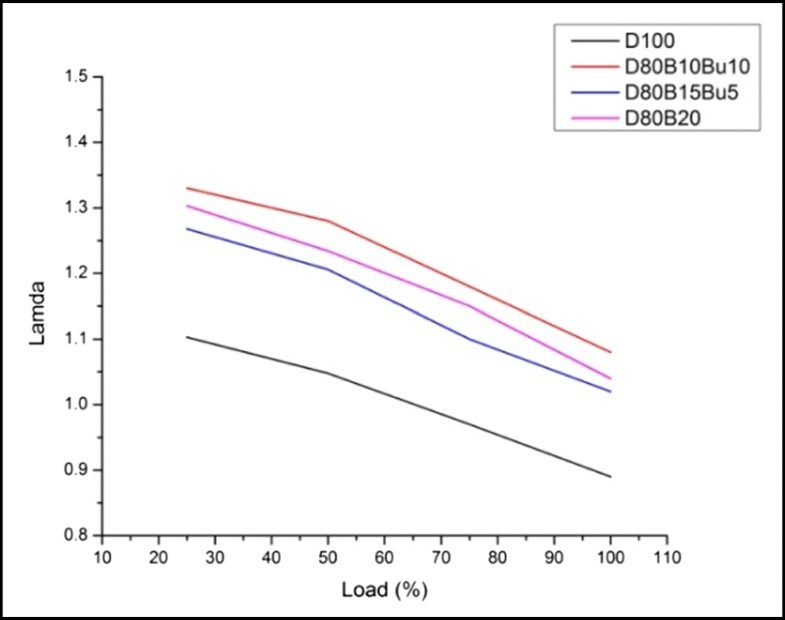 At higher load, among the blends D80B10Bu10 showed better cylinder pressure, heat release rate as well as BSFC, BThE. Air excess ratio was higher for the bio diesel blends. Almost all the blends showed better emission results compared to diesel. BThE was higher for D80B10Bu10 at full load. CO, UHC was also reduced for the blends at higher loads. NOx was higher for D80B20 at full load. Multi-objective fuzzy-based GA which was implemented from the input variables which showed reliable values of regression. A total of nine sets of membership function was introduced for fuzzy ranking of MPCI which showed 81 fuzzy rules. Gray relation was implemented for the conversion of multi-objective function to a single objective for the process parameters. The GA result was significant for the experimental and predicted data which converged after 89th iteration and resulted blend 1 as the optimal blend at 5.1 kg load, and the results from GA were found to be significant to the experimental data under the process parameters.